I’ve been to the local Papa-Razzi (155 Worcester Rd.) a few times but never for pizza, so tonight a couple of friends and I went to check out the pizza pie situation. We also got some sangria that I forgot to take a picture of but it was good, although a little strong (making this a short post because now I’m tired and have to go to bed. I’ll say the pizza is a pleasant, thin crust style with plenty of cheese, maybe not enough sauce on the one with red sauce but good. There is a lightness to them where you don’t feel like you have really ate a whole pizza – there were three of us and we finished all three pizzas. I was a little disappointed with the Puttanesca. I had a more “romantic” vision of it was going to look like, more specifically, evenly distributed toppings. 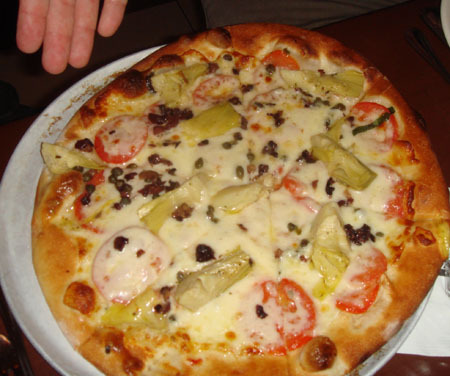 the capers and olives were mostly on one half. 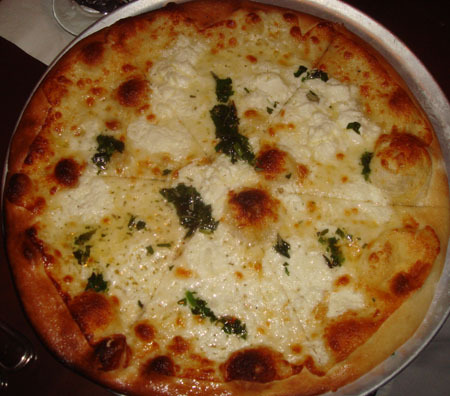 Same with the herb on the 4 cheese, but they were still pretty decent. You can check out the rest of their menu by clicking here. Thought the place was closing? I love their pizza ! 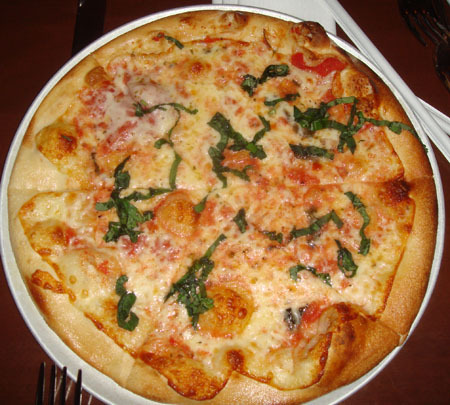 its more authentic italian pizza than pizza hut or any other place which dumps mounds of cheese on a thick doughy sponge. Not a huge fan of anything there, but my kids like it. I fond the price to value ratio way out of line. We did have a private party there a few years back, and they were very accomodating. I have loved most of the food I have had there. It is my go to place on a night when I haven’t had dinner and it is very late (about the best food I have found served past 9PM). I have not tried the pizza here but did try the Puttanesca a a different Paparazzi and did not care for it as much as the pasta. I have had excellent service there both from individual wait staff to the managers. We have an umbrella they gave us still one night when it was raining. Their brunch on Sunday is great if you haven’t checked them out. Papa Razzi is OK…never awesome. Do you know what is going in the old KFC on 135? The FOR LEASE signs are down and looks to be transforming into something else. Hopefully good! We went there once and it was ok, but $17.99 for chicken parmigian????? (there it’s called POLLO ALLA PARMIGIANA). We tried it and it was ok but nothing to warrant the price.